Need no word to explain but flowery thing still pretty much crowding my wardrobe for the past three months. Summer identically related with these flowery pattern, call it flat print flower top until three dimensional daisy jeans (wish I could have it tho). Again even I got my Rihanna x River Island denim jacket from last summer collection, really long for high street brand to came out with more of patterned denim like the one that I had now. Nothing could possibly go wrong with flower so I challenged myself to do this little abstract combination, I know that most of you would notice I tend to wear blue or green but heck! I found it absolutely difficult to find any edgy cutting clothing with the color that I prefer which are pink or orange. I do love the romantic mixture of blue and green especially light green, that is why I decided to combined my vintage Wrangler shirt with this shiny tapestry look alike (that's what one of my colleague told me) trouser. My little advice to you guys who dare enough to wear this classy mix well, although I'm not the expert myself is that try to combine different size of flower but with the same color gradient. You know obviously green goes with blue, orange to red or even pink with yellow. Try to be more experimental with your 'laying on the ground' outfit that has been jailed in your wardrobe to create something fresh and edgy at the same time. I notice that some of my follower which I don't know whom and most of them run a fashion blog (AND admit they are all a fashion blogger), post something ridiculously modest. They basically upload their pictures by wearing some random super ordinary T-shirt and baggy blue jeans plus sneakers (and Jansport backpack) without any stories behind that. I'm like... dude why do you even bother to go through any for just posting your 'super ordinary' day looking, don't you own any Instagram or something? I am totally resentful when they beg me to come to visit my blog and even some of them ask me to return the favour to follow them back since they followed my blog. So what? Yes I do visit it obviously and I closed it after I looked at couples of 'boring' pictures on he/her site. This is totally my opinion but, shouldn't a fashion blog inspire other reader in the sense of the way they dressed. I'm not amazing or something either but at least I've put in some effort on my dressing and I dare to admit that I'm a fashion blogger. This entry was posted on Saturday, 28 September 2013. You can follow any responses to this entry through the RSS 2.0. You can Comment. 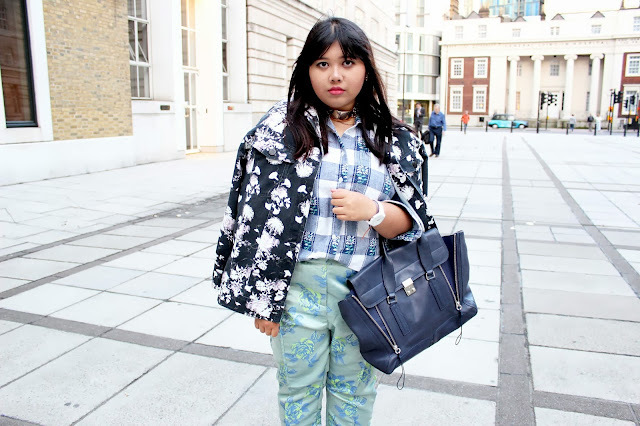 print clash nya kece sekali kak >< craving for that river island jacket for real! uhm yes, sometimes i kinda annoys when someone post a comment just to make us follow their blog. i mean..if i like what they post i'll definitely follow them, just dont force me to do that lol. This outfit is amazing! I love the combination of prints from the jacket and top! That jeans is beautiful. love the pants and that flower jacket from River Island is totally superbbbb cool ! you are the artist of clashing patterns hehehe..
even you did clashing, it's always good to see..
anywayyy, setuju banget with ure words on the second pharagraph, haha, lol. You're definitely not a boring blogger! There's a lot of people whose style is much plainer, which doesn't really appeal to me either, but there seems to be an audience for it. I guess I'm just drawn to styles that are a little more interesting and unique. :) This outfit is awesome, as always. 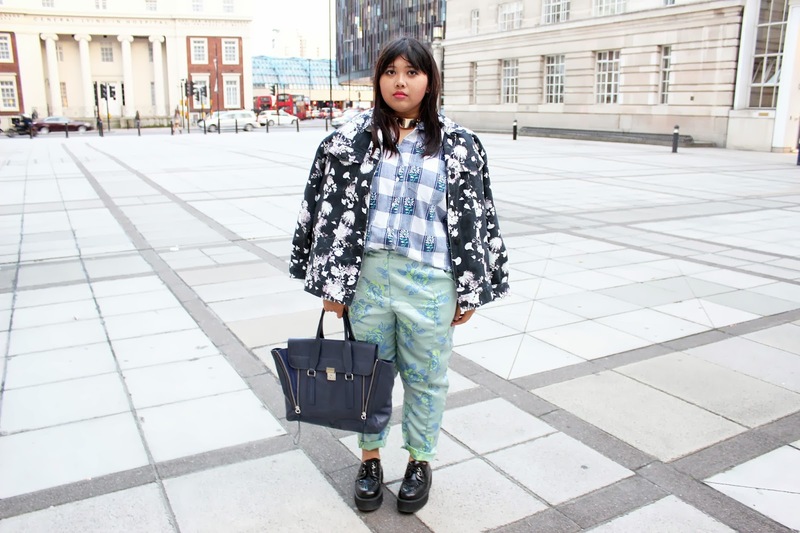 Your print mixing skills are stellar! you are the queen of mixing prints! :D im always so jealous how you mix prints so effortlessly ;) and i totally agree!! I feel like i dress kind of plain sometimes but come onnn, youre right, those bloggers who just post plain tshirt and jeans are so boring! Btw, I don't always do pattern mixing but I totally agree with your advice (combine different size of flower but with the same color gradient) Works everytime! And also about "following/visiting back your (boring) follower", we have the same opinion. I constantly close the tab when I don't see something interesting on a blog. Well, if they can't beautify the blog, at least they should put some effort on the outfit, right? But with plain tee and pants? Naah! Hahaha. whoa flowers! u lookin great. Not to mention I love the pashli so bad! im jealous! cool outfit!!!! 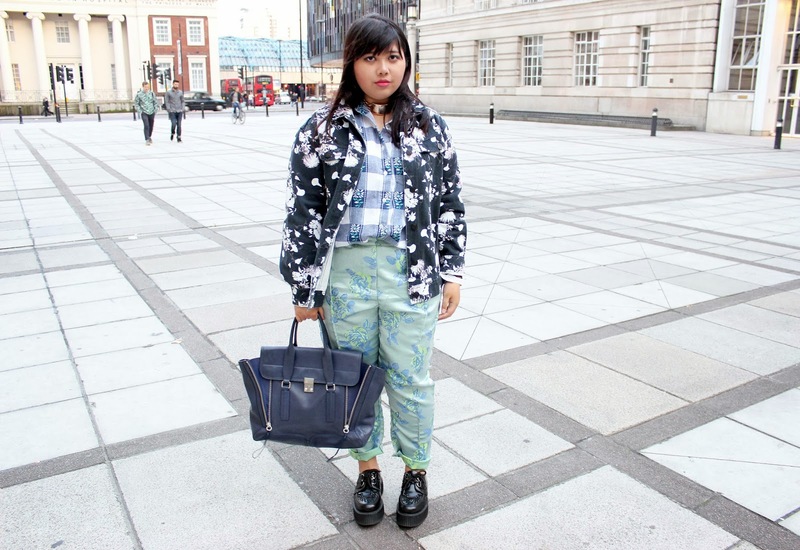 i love flower print on clothes as your jacket and also your bag!!! ;))) so chic!